51km (32 miles) South of Tokyo. 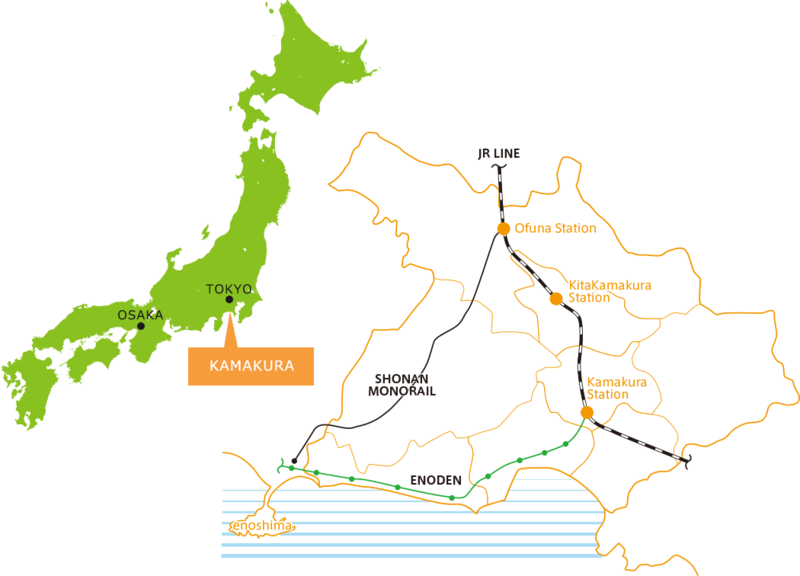 Access from Osaka/Kyoto Shinkansen would be the better way to approach to Kamakura. To the seaside area of Kamakura Enoden is the way to approach and also to get around. 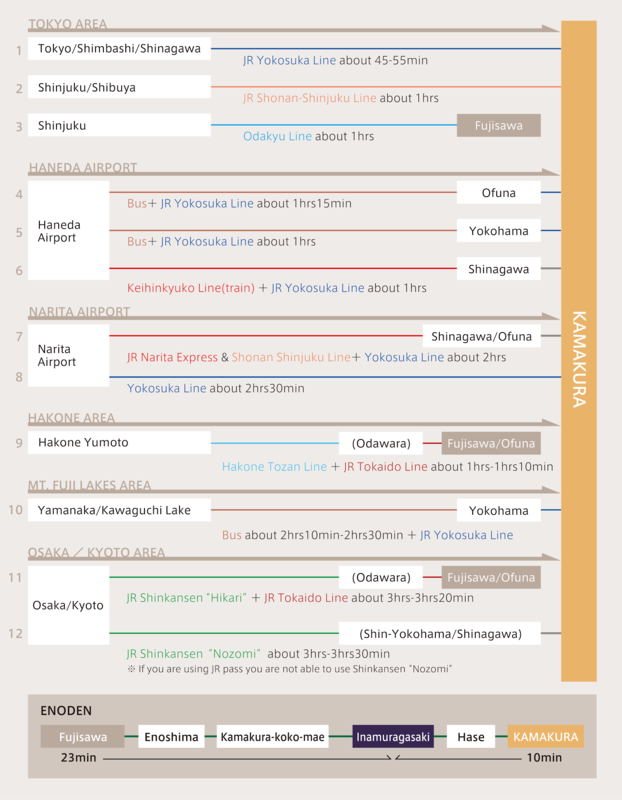 You can take either from Kamakura station or Fujisawa station. By the way if possible, visit Kamakura between Monday and Friday. especially cherry blossom, Hydrangea, summer and new-year greeting seasons.